SPTC Press Release - On Friday, January 11, 2019, the newly appointed Ambassador of the Republic of China (Taiwan) to Belize, His Excellency Remus Li-Kou Chen, made an official courtesy visit to San Pedro Town. 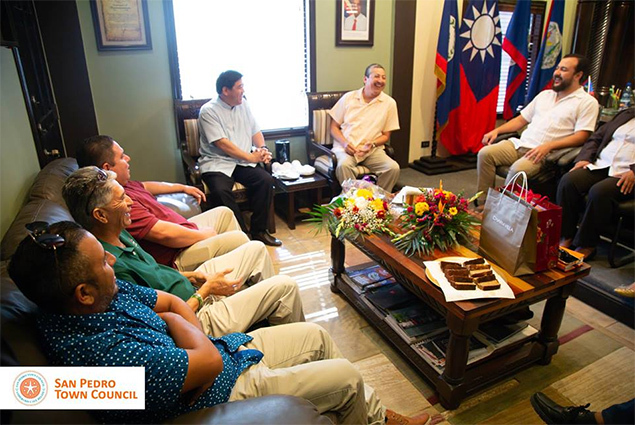 In a gathering inside the Mayor’s office, the Ambassador met with Mayor Daniel Guerrero and all six councilors of the San Pedro Town Council, along with Town Administrator, Mrs. Patricia Verde Tillett and LED Officer, Mr. Jorge Aldana. 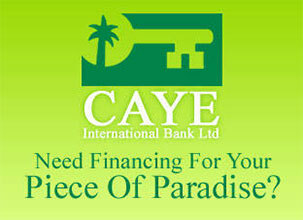 The meeting was very fruitful, as the Ambassador is delighted to work along with the Town Council in the future. The Ambassador and the Town Council shared various points of interests between each other such as: tourism and the economy, as well as ideas on how to overcome the traffic and garbage situation that the island is currently facing. Both parties were excited to work on a cultural exchange where interested individuals would have the opportunity to learn Mandarin, which is a very popular language and spoken in various countries. 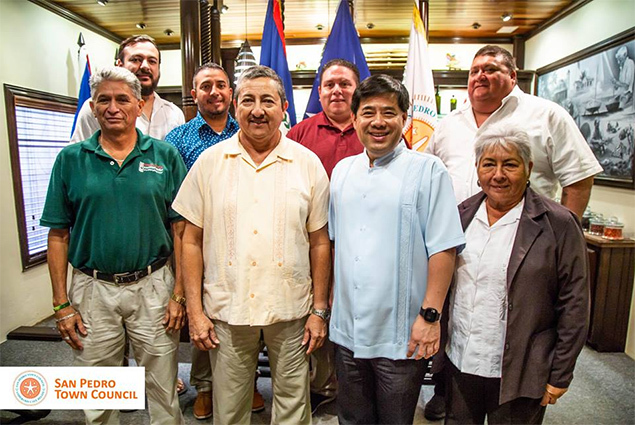 During his visit at the Town Council offices, the Ambassador presented Mayor Daniel Guerrero and each councilor with a token of appreciation. 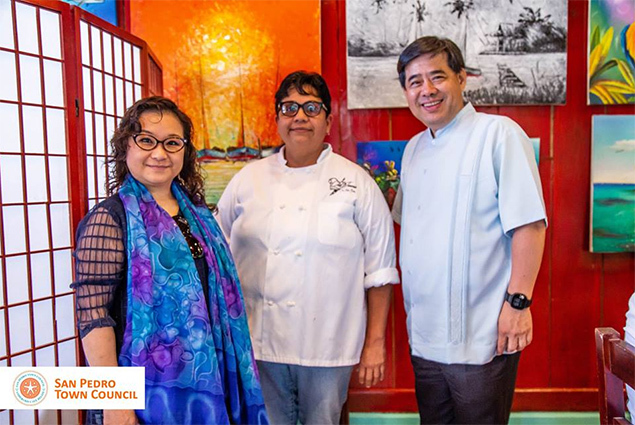 After the official gathering, the Mayor, Councilors and the Ambassador walked over to the popular Elvi’s Kitchen, where they met with the Ambassador’s wife, Madam Joyce Chen and their daughter, Miss Grace Chen. 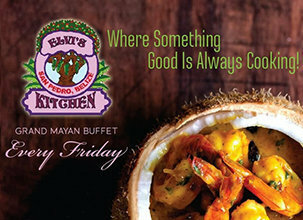 For lunch, the table was set at the traditional and popular restaurant, Elvi’s Kitchen, where they experienced some of our local cuisine by San Pedro’s very own, Chef Jennie Staines, as they casually discussed their similarities and challenges that both municipalities are facing. The Ambassador and his wife had the opportunity to meet the Chef herself as she visited the table to ensure everything was in order. 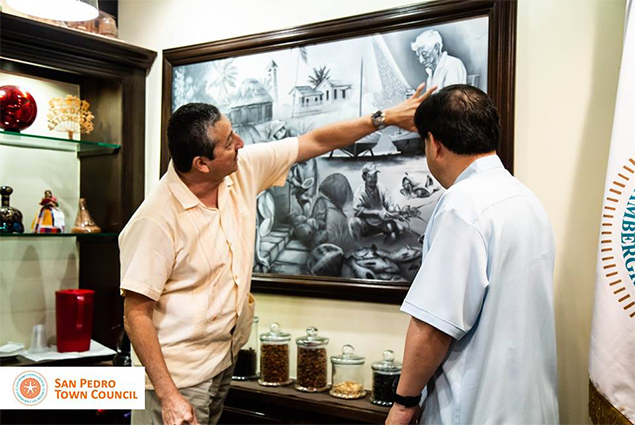 Before they left the restaurant, Mayor Daniel Guerrero gave a few words of appreciation and presented the Ambassador, his wife and daughter with a little token for his visit. 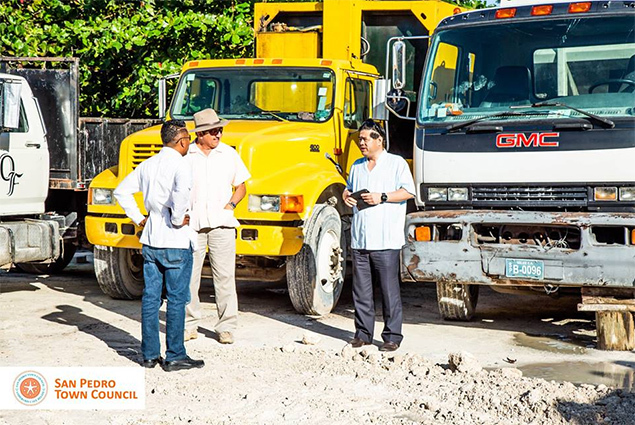 After their lunch, Mayor Daniel Guerrero gave the Ambassador a short tour of town and a visit to the Town Council Barracks, where the Mayor showed the Ambassador the two garbage compactors donated by then Ambassador of the R.O.C. (Taiwan), Mr. David Wu in 2003. Lastly, in the night, the Mayor, his wife, the Ambassador, his wife and daughter, were hosted at the Tsunami Sushi Restaurant inside Caribbean Villas with its serene ambience. 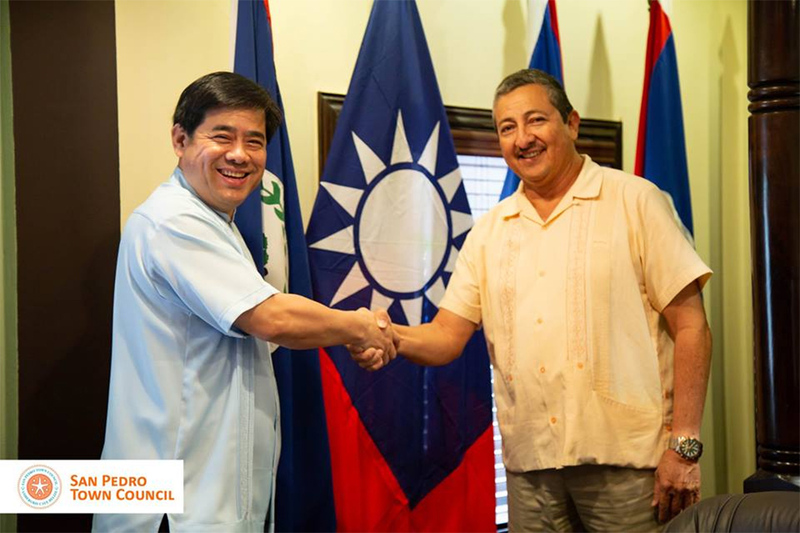 Mayor Daniel Guerrero and the Councilors of the San Pedro Town Council would like to extend its most sincere gratitude to the Ambassador of the Republic China (Taiwan), his wife, Madam Joyce Chen, and their daughter, Miss Grace Chen, for their visit to San Pedro Town.